MCTCDubai offers you a complete practical oriented training for CCTV with KHDAcertification from our expert instructors. We will ensure you a best trainingin Dubai that will make you ready to work as CCTV technician without any extrapractices. Free demo is available for all the courses. Several IT techniciancourses are also here! 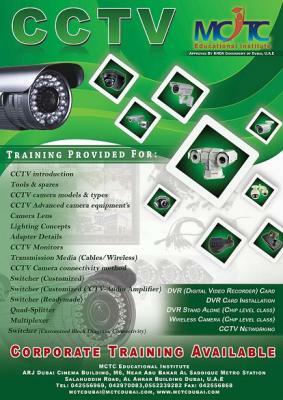 Enroll today itself and be a certified cctv specialistfrom us!